You transfer appreciated stocks, bonds, or mutual fund shares you have owned for more than one year to Board of Child Care. Board of Child Care sells the securities and uses the proceeds for our mission. 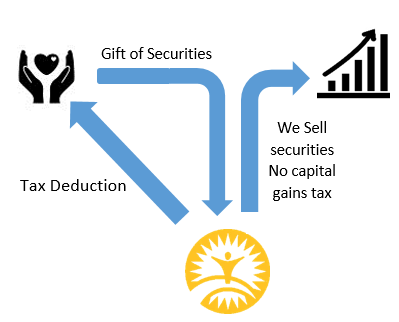 Giving appreciated stock can be more beneficial than giving cash. The “cost” of your gift is often less than the deduction you gain by making it.